Real-time updates of player injuries and easy access to breaking NFL news makes this extension a must-have for avid fantasy players to track their roster. 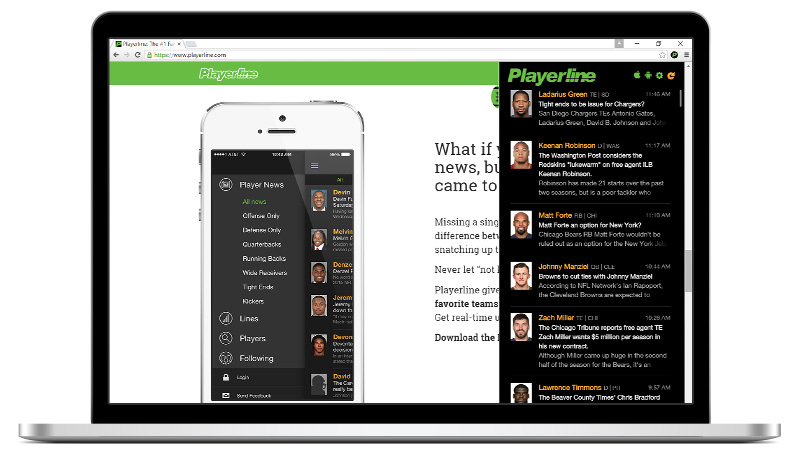 The extension takes 3 seconds to install and then allows you to stream real-time NFL news right from your browser. No need to search for news, the news you need is right where you need it.